I never paid much attention to the boxer Mohammed Ali. I've never cared about boxing, and his heyday was when I was a kid. I've always known him as Mohammed Ali, and was surprised when I learned he used to have a different name, Cassius Clay. Thanks to part 11 of Eyes on the Prize I learned a lot more about "The Greatest." He was a constant braggart - he would often say he was pretty - which I guess is where Johnny Bravo got it - and I have to say, it is absolutely true. I was too young to appreciate his beauty when I was a kid but watching him on Prize I have to say day-am he was a fine looking man. He was also a stalwart opponent of the Viet Nam war and a gasp! Muslim! Bill Maher must hate him. He was also really funny and smart. 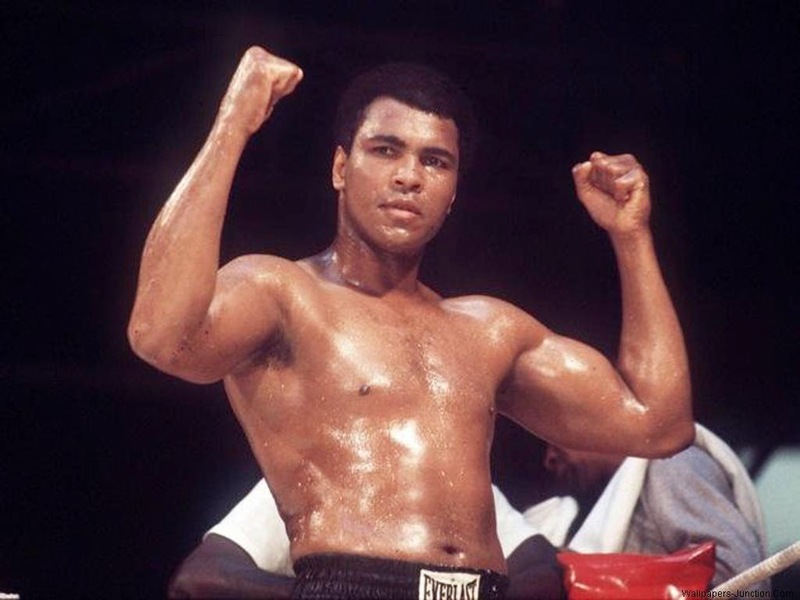 I also learned that Harry Belafonte had a huuuuge man-crush on Ali - in EOTP Part 11 he goes on and on about how great Ali was, calling him "delicious" at one point. I also learned from this episode about the Howard University student take-over, which I don't ever remember hearing about. I also learned that not only was he an excellent poet, but Amiri Baraka was also quite the movement leader. I highly recommend the "Eyes on the Prize" series.